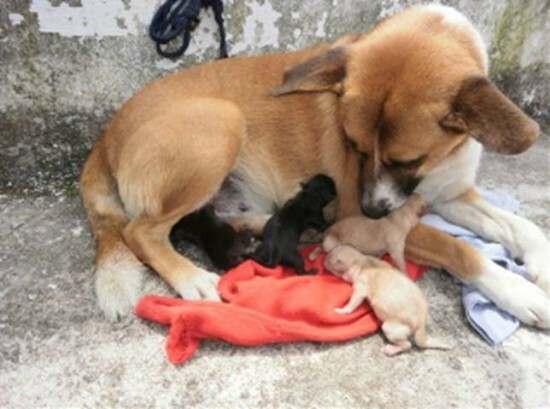 When a group of dog rescuers arrived at the market to show the dogs available for adoption, somebody had left 12 puppies on the street – 8 of them were approximately 5 weeks old. 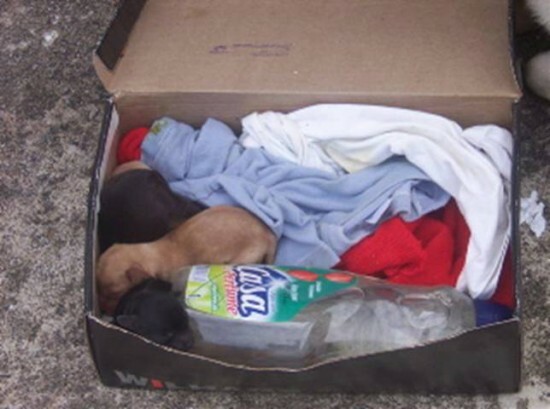 In shock, the rescuers didn’t know what to do. The group had recently canceled several adoption days at the market because of bad weather, so they were over their capacity with puppies still needing to be adopted out. 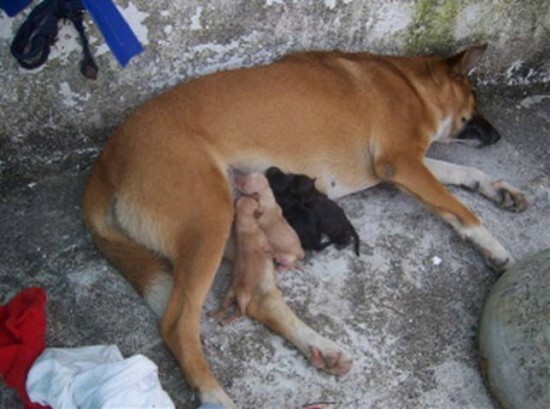 Also, the abandoned puppies were so small that they needed to be fed every two hours, including at night. 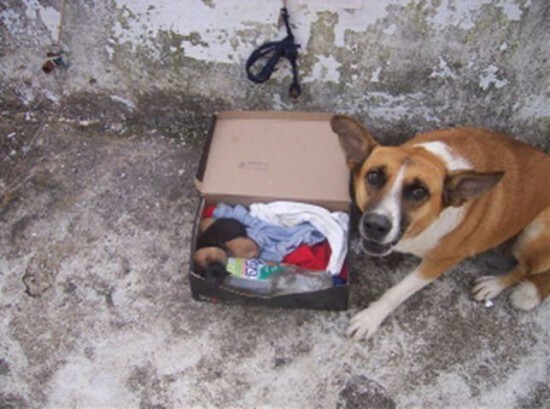 That’s when a spayed stray dog approached, lay down beside the shoe box where the puppies were sleeping, and began caring for them. She wouldn’t let anyone get near the babies. 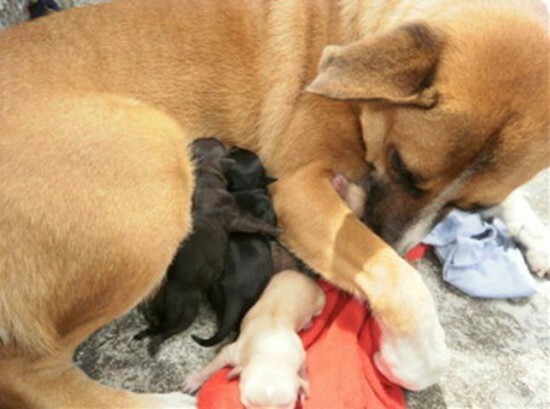 Very carefully, the rescuers placed the puppies closer to her. She began caressing them and offering the warmth of her belly to the newborns. after a few hours, she had milk and was feeding the puppies. 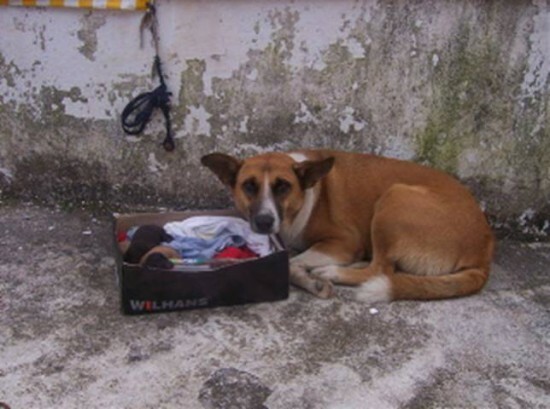 The rescue group named her Vida, which means “life” in Portuguese.